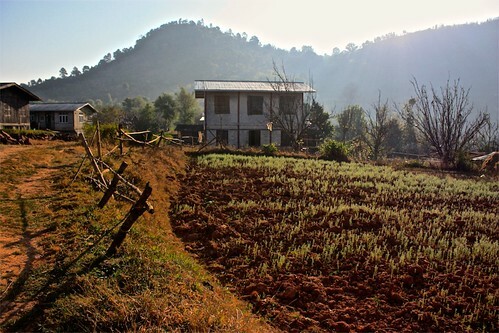 The main reason to go to Kalaw is to do the three-day, two-night trek to Inle Lake. The typical route takes you through many hill tribe villages and has you spend one night in a family house and another in a monastery. 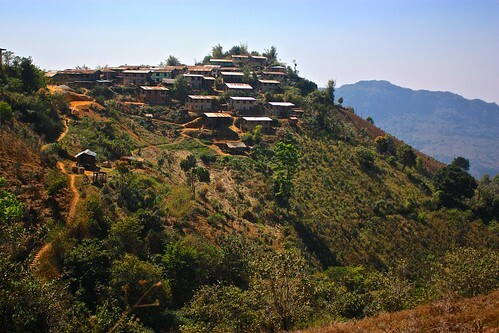 Kalaw is FULL of "guides," so picking someone to do your trek with can be difficult. Taking a recommendation from TripAdvisor, we went with Ever Smile, an independent company run by a woman. We paid 12,000K per person per day, which included food and accommodations. (We had four people in our group; a tour for two costs 15,000 pp/day.) In addition, we paid 3000K each for bag transport to Inle and split the 17,000K fee for the boat ride at the end of the trek. This farmer is getting pulled about the field on a board by his water buffalo. It was facinating to watch the random movements that eventually plowed the land. Our guide's English could have been a lot better. 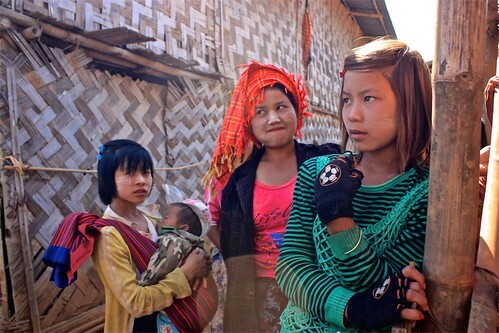 We had hoped this trek would allow us to learn a bit more about the Burmese people and culture, but unfortunately we were limited to the names of villages and plants. Homestays weren't really homestays. The local families served us dinner and showed us where to use the bathroom, but other than that, they did not go out of their way to interact with us. Perhaps it's because they're now too used to tourists. With about 20 minutes of trekking to go, I got stung by a ginormous bee. 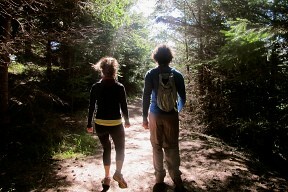 Usually, Rob and I take a first aid kit with us when we hike, but because we had a guide, we left it at home. Our guide had no tweezers, no wipes, nothing. He took the stinger out with dirty fingers. My hand was swollen for three days afterwards, so much so that I had to remove my (fake) wedding ring. Our guide: our small group noticed our guide seemed to be taking shortcuts that took us via dirt (unshaded) roads instead of trails. On the second day, we also noticed that when we arrived at a family house for lunch, our lunch wasn't ready even though the two other groups in the house got served immediately. After waiting about an hour, we got noodle soup instead of the lunch spread the other groups had. When we questioned our guide about it, he got incredibly defensive and essentially ignored us the rest of the trek. The boat: for 17,000K, we expected to get the boat for the whole day. When we requested some stops, the guide said it would cost extra. We agreed to up it to 20,000K, but the boat driver took us to the wrong pagoda and then refused to take us to the correct one because it was "too far." Instead of being the negotiator and translator, our guide basically did nothing. We figured it was because he just wanted to go home. The worst part was that the boat driver still expected the 20,000K when we arrived in Nyaung Shwe. We refused to pay it, which led to our first, incredibly passive local altercation. Perhaps it was just a fluke with our guide - Ton - but we would not recommend Ever Smile as a trekking operator. Groups that paid that same amount we did had better guides and an overall better experience. The A1 guide seemed particularly interested in actually being a guide, as opposed to getting the tour over with. That said, the one place we heard repeatedly to avoid was Golden Lily. If you stay there, they will constantly talk to you about trekking with them. Be careful with the tea at the many stops. Sometimes the locals don't boil the water all the way, which means some of the bacteria lives. Rob got really sick from the tea at the train station. Amazing views of rice paddies across the tracks though! Take warm clothes. We slept in fleeces and ski jackets under several blankets. The couple we were with woke up with colds because they didn't have jackets. Read updated trekking guide reviews on TripAdvisor. 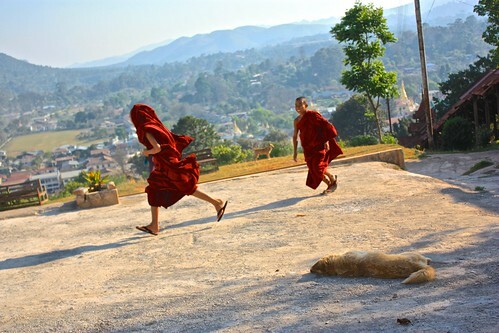 Internet in Burma is really limited, so I had to go off of information I read a month earlier. If I had checked more current reviews, perhaps our experience would have been different. Be prepared for harder trekking than the tour operator says. Over 3 days, you will go approximately 60km and it's no walk in the park! At the end of the day, we witnessed amazing views and local culture for 3 days straight and it was well worth the time despite some difficulties. 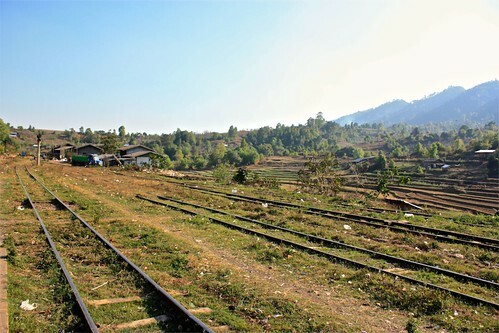 For more, check out our photo tour of trekking Kalaw to Inle Lake. Interested in just Kalaw? Check out our Kalaw backpacking tips. 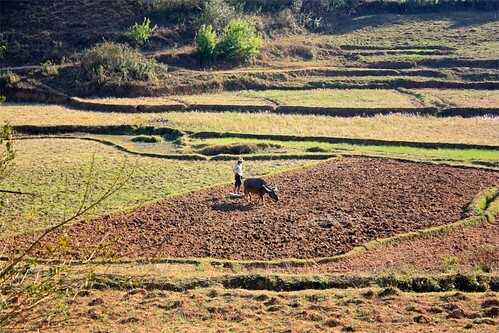 Have any tips on the Kalaw to Inle Lake trek? Let us know in the comments! Europe and Asia. Hijabs and Louis Vuitton. Euros and liras. Everything from Istanbul's geography to its current political climate splits it in two. Istanbul's political climate and geograhy is split in two, historically, it looks that way too. Can you tell by the pictures in this photo tour?